Sponsored by the World Health Organization, April 7 is globally recognized as World Health Day, so we take the opportunity to salute all professionals working every day to better health care. 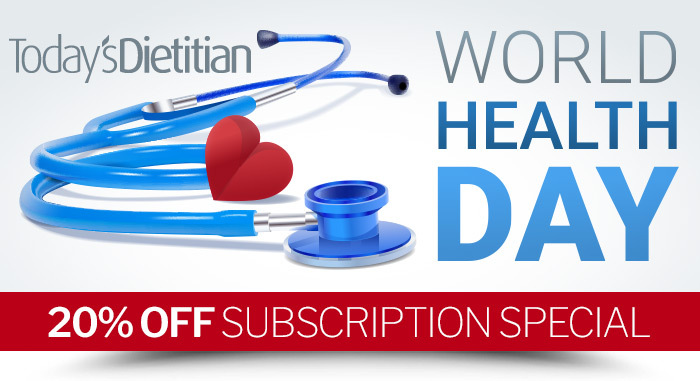 In celebration of World Health Day on Saturday, we're offering nutrition professionals 20% OFF a 1-year subscription or renewal to Today's Dietitian from now through Monday, April 9! Thank you for increasing health awareness in the world. Enjoy this token of our appreciation.